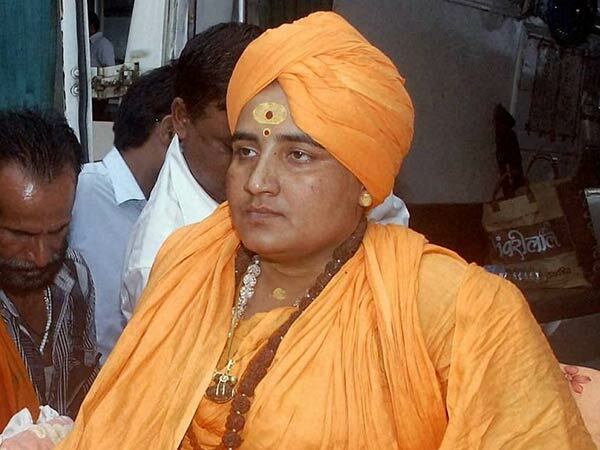 46 min ago By fielding Sadhvi Pragya Singh for Bhopal, is BJP showing signs of desperation? Washington, Feb 14: The UN Paris Agreement that aims to limit the global temperature rise to less than two degrees Celsius is unlikely to be met, and could increase the likelihood of extreme weather, a study warns. Researchers found that emissions consistent with the commitments countries have made are likely to result in a more than fivefold increase in probability of record-breaking warm nights over approximately 50 per cent of Europe, and more than 25 per cent of East Asia. This two to three degrees of global warming would also likely result in a greater than threefold increase in record-breaking wet days over more than 35 per cent of North America, Europe and East Asia. Researchers from Stanford University and Columbia University in the US expanded on previous work analysing historical climate data, which demonstrated how greenhouse gas emissions have increased the probability of recording-breaking hot, wet and dry events in the present climate. They analysed similar models to estimate the probability of extreme weather events in the future under two scenarios of the Paris Agreement - increases of 1.5 to 2 degrees if countries live up to their aspirations, or 2 to 3 degrees if they meet the commitments that they have made. The really big increases in record-setting event probability are reduced if the world achieves the aspirational targets rather than the actual commitments,â said Noah Diffenbaugh from Stanford. At the same time, even if those aspirational targets are reached, we still will be living in a climate that has substantially greater probability of unprecedented events than the one we're in now, said Diffenbaugh. The difference between the UN goal and the actual country commitments is a mere one degrees Celsius, which may seem negligible, but even that 1-degree difference could increase the likelihood of extreme weather. This level of warming is also likely to lead to increases in hot days, along with mild cold nights and shorter freezes, according to the study published in the journal Science Advances. Meeting the Paris Agreement's goal of keeping the global-scale warming to less than two degrees is likely to reduce the area of the globe that experiences greater than threefold increases in the probability of record-setting events. However, even at this reduced level of global warming, the world is still likely to see increases in record-setting events compared to the present.